In the heart of downtown Los Angeles is n/naka. This is no ordinary dining establishment. Here you don't just get dinner, you get a whole dining experience unlike any other. Founded and run by Niki Nakayama, n/naka provides authentic modern Japanese kaiseki cuisine, formal Japanese seasonal dining served with many courses. 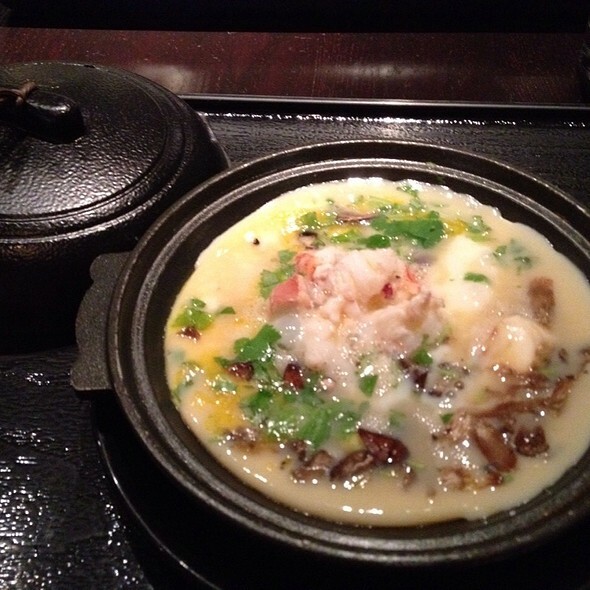 Kaiseki dining includes the freshest ingredients possible presented in their most natural state. Since being featured on "The Chef's Table," n/naka has become quite popular. The experience features 13 delicious courses, no ordering necessary. 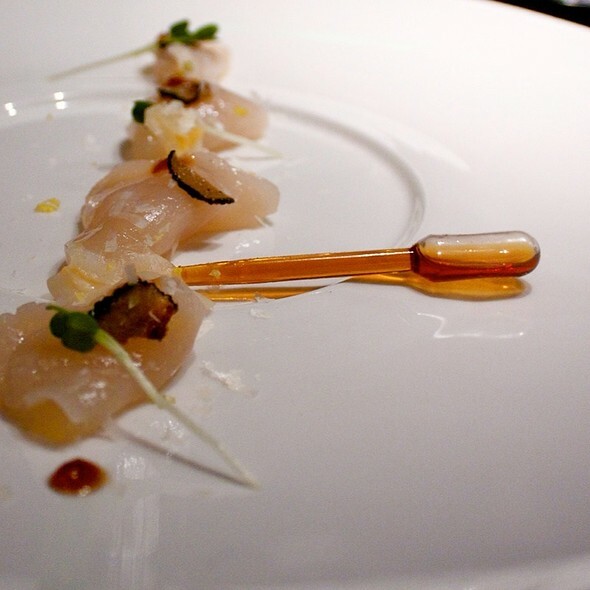 They can range from anything such as the chef's version of sashimi to an inspired, modern seafood dish. Just tell the staff about any food allergies or restrictions, and the menu is created for you. Incredible! I had way high expectations and N/naka delivered. Service was exquisite and warm. The food was flat out art work. Plus it was delicious, not just for show. Wine list was good and we enjoyed the gruner veltliner. The best part was a visit from Niki and Carol. They were gracious and lovely. Thank you! n'naka was a phenomenal dining experience my friends and I will never forget and will hopefully experience again. From the very moment you walk through the unassuming door until the moment you walk out the door and your car is waiting for you as you step on the sidewalk, Nikki and her outstanding team take care of every detail to make your time with them one you will never forget. The food blew my mind -- presentations were gorgeous, the flavors exploding, and everything is exceptionally explained to you by your waitstaff. We kept asking for more courses! The service was amazing. I left feeling like I made a slew of new friends. Definitely will be back. This is, hands down, the best meal I have ever enjoyed. The service was impeccable, the ambiance romantic, and the food singular. 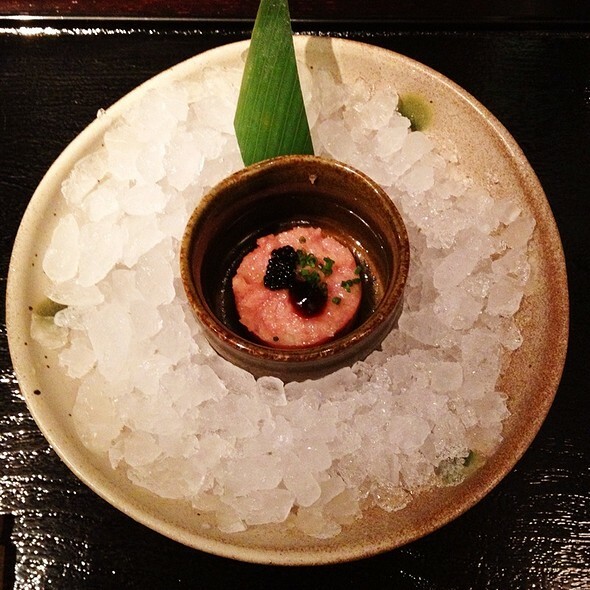 The team at n/naka has perfected the art of dining, but their humility shines even brighter than their talent. This is not an experience to miss. we completely enjoyed our experience at naka, down to the last drop of perfectly appointed wine, paired for our meal - (highly recommend). we absolutely adored our server, who is very near right in saying that the japanese can also make a very worthy italian style pasta! she was a joy and was the surprise to our evening. Absolutely amazing!!!! Would love to go back again and again. Thank you Chef Niki and the n/naka staff! 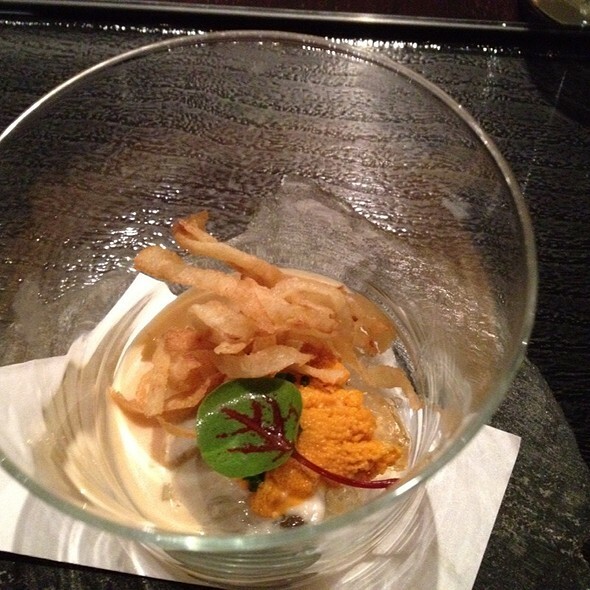 Consider this one of the best restaurants in LA and it feels Michelin Star worthy to me! Love the food and wine pairing and Chef Nakayama is amazing at her craft!!! We intended to do it for our 35th anniversary; however, we couldn't get the date we want and with only two seats available. But the dinner turns out to be a wonderful experience for us: 13 courses of small but carefully prepared to gradually turning up our appetite pairing with 10 glasses of wine and/or sake... It's not hard to imagine how satisfied we were in the end. chef came out to meet our group at the end of the meal... nice touch. One of the most amazing meals that I have ever had in Los Angeles. The ambiance - simple and beautiful. The servers - impeccable. The meal - perfectly spaced over 3 hours. And then the icing on the cake - you meet the chef, Niki Nakayama, who is so full of gratitude for each and every one of her customers. The restaurant is a must!! Save your money for quite a foodie experience!!!! My husband and I saw n/naka on Chef's Table about 10 months ago. We knew right away we had to visit. We made reservations the day they became available and snagged one of the last two seatings. After anxiously awaiting 3 months our visit did not disappoint. We had to wait about 30 minutes to be seated, but our server graciously poured us a full glass of wine for our first course to say 'thank you' for waiting. Each course was beautifully composed and executed with precision. At the end of the meal (which was well after midnight), Chef Niki came around to each table to thank them for visiting and to ask how well the meal was enjoyed. The only piece of the experience that did not 'wow' was the wine pairing. My husband and I didn't quite 'get' them. The wines were delicious, but they didn't seem to pull any specific flavors out of each course. I usually order a wine pairing at a set menu and I was underwhelmed with this pairing. If my husband and I get the opportunity to go back, we would probably order a bottle of a fantastic champagne to celebrate each course. In now way did the pairings take away from the meal, they just didn't add to it for us. Chef Niki is doing amazing work at n/naka. I would highly recommend it! The dining experience was well thought out from beginning to end. Every dish complimented the last and the next. Superb! Truly outstanding! Best restaurant in LA. Thank you, Chef Niki, for sharing your gift with us. Happy New Year! Chef Nikki cares about her guests, it shows in the precision in which the food is presented, the gracious table hosts, and the fact that she personally greets you at the end of your meal. Every dish presentation was flawless. Every bite was delicious. The experience was great. The waiters and waitresses were very attentive. A unique, delightful splurge. Not to be missed. The taste of the avocado tasted exactly how I remember avocados tasting when I was a kid, so full of flavor with a hint of bacon. The whole meal was like that--flavors that have become Unobtanium, somehow she has and has mastered them. The seafood was divine and the sake pairings were perfect. It was magnificent. Beautiful presentation, warm inviting space, excellent sake/wine list, a top3 meal in my lifetime. It's an experience any food fan should enjoy at least once, however I hope to enjoy it many times over. Thank you Chef Niki. This was the best dining experience that my fiance and I have ever had. The food was exquisite, the service warm and friendly, and it was such a pleasure to meet Chef Niki and talk about what we dined on. She also congratulated us on our upcoming wedding! My only regret is that I did not eat slower, even though we were there for 2+ hours. Savor every bite, fellow diners! Thank you to everyone at n/naka for a wonderful night! PS: If you are coming to n/naka within this month or so, the traditional "teapot" broth is a revelation. We found n/naka through a simple google search of LA's top restaurants. My parents were visiting from out of town so we wanted to do something special. The service was impeccable, all the food was amazing and every course was so beautifully presented. The wine choice was fantastic and I couldn't fault anything about the service either. I would recommend going hungry as we were very full as expected from the courses and you want to ensure that you're able to enjoy all of it. I would recommend this restaurant to everyone, especially if you love Japanese food. Every taste was a delight. The favors were amazing. Ingredients were top notch and so beautifully presented. It is a must for any and all food enthusiasts. Looking forward to the next trip to n/naka! My wife and I have been looking forward to N/Naka since we saw it on the wonderful documentary "Chef's Table". It was hard to get a reservation and we had to wait about three months but it was worth the wait. The restaurant is relatively small and quiet with most tables seemingly quite private. Once the service starts there is a steady, well-paced parade of courses (10 -15 in all) that are beautifully presented, delicious in their flavor and unique in their pairings. Every course was a delight with the food matched, or perhaps even exceeded by the service. Every plating was different and presented on beautiful and interesting plates. Each course was carefully described. After each course we were asked if we were satisfied and our table was cleared and cleaned. The Chef even stopped by at the end to see if we were full and satisfied by the amount and the quality of the food. It is quite pricey but this is a food experience not to be missed. This restaurant is something else. You can't find anything like this place anywhere. The menu is so well combined that the food becomes a complete symphony with exploding flavours that only gets better and better! I'm coming back! That's for sure! what attention to detail in everything at this restaurant. The food is immaculate, they explain you with grace and a smile the ingredient in every dish when they bring it to you. I had beef that was braised for 48 hrs, came from a female cow from Japan that listened to classical music, was massaged and drank beer. Every dish is a different, layered, flavor. Very musical. The deserts were also incredible. Coming here is a journey. Come with time. They play jazz music and the mood lighting changes softly. Can get a bit loud and lively, but nothing annoying, don't expect a library. It is a small restaurant, no more than 20 seats I think but tables are spaced nicely apart. We had privacy and a nice cozy table for two. At the end chef came out herself and thanked us for coming to her restaurant. the whole 3 hrs we were there we felt very welcomed and cared for. My fiance and I eagerly anticipated our first dining experience at n/naka, having known of kaiseki cuisine and this establishment for a while. Each bite was perfect in taste, texture, and "surprise" and completely satisfied me through all senses. I also had a wine pairing which I felt perfectly complemented the food. Too much waiting time even you made the reservation 2 months in advance. 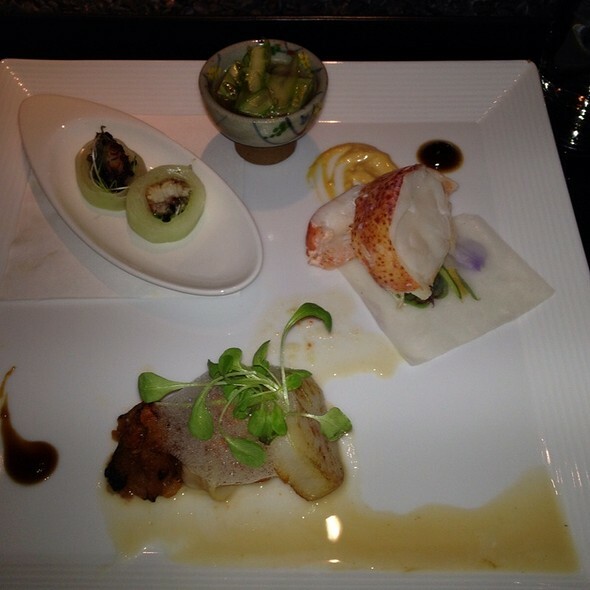 Food is decently delicious, I was quite disappointed at the miso black cod, dry and over cooked. Most dished were a bit Americanized, if you are looking for 100% authentic Japanese food, it's not your place, just FYI. Make sure to plan plenty time for it. I planed 2 hours and 15 mins for this dinner and another appointment after. I was still 30mins late. So the first half of the time I was a bit annoyed by the wait, and the other half I was panicked by I was being late, wasn't able to really enjoy the food. Came here on our anniversary, staff and food was Michelin star status. I would not be suprised to see 1 or 2 next time the tire company decides to drop by los angeles. How can a restaurant in an unmarked building with no signage outside make it in this world? Well it can if it has the culinary skills of the chef here who pours passsion into every dish. With a fantastic and gracious wait staff, beautifully presented, eye appealing and declisious course after course for 13 presentations left us delighted and speechless. What a way to celebrate my birthday. And the fact that the chef came out of the back to greet us, first timers to the restaurant, and extend birthday wishes was touching and appreciated. Hey, everything is thought of includijng having your car brought up to the entrancce for you so that when you walk out at the end of the well paced and leisurely three hour meal, your car is there ready for you to head back home. What a find. Can't wait to return again. Delicious food. They bring you the best of the best from around the world. Highly recommend, super expensive but it's because she is serving the best ingredients available. I dined here last week with my husband and some friends and I couldn't have been any happier with my meal. There is no menu here. You sit down and you are served course after delicious course. I think the price is around $175.00 per person, which may seem like a lot of money BUT when you consider the time, the ingredients and the execution of each course you will understand. I was very pleased and I look forward to dining here again. 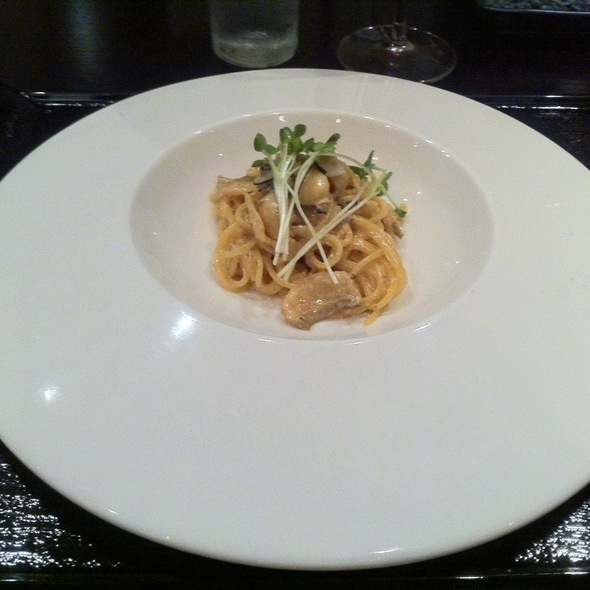 My favorite course was the abalone pasta dish which I think they are known for. 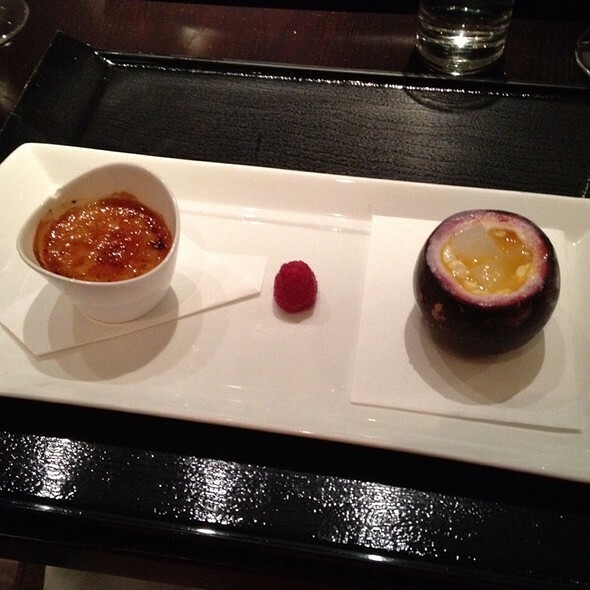 I will request this course again the next time I dine with them. This is definitely a spot if you want a real fine dining experience, or it would be wonderful for a special occasion. In addition, I felt very comfortable in the restaurant. It wasn't too fussy, It was just perfect. One of the best dining experiences we've had in the U.S. The entire evening was perfection, down to every last detail. The food was overall excellent. 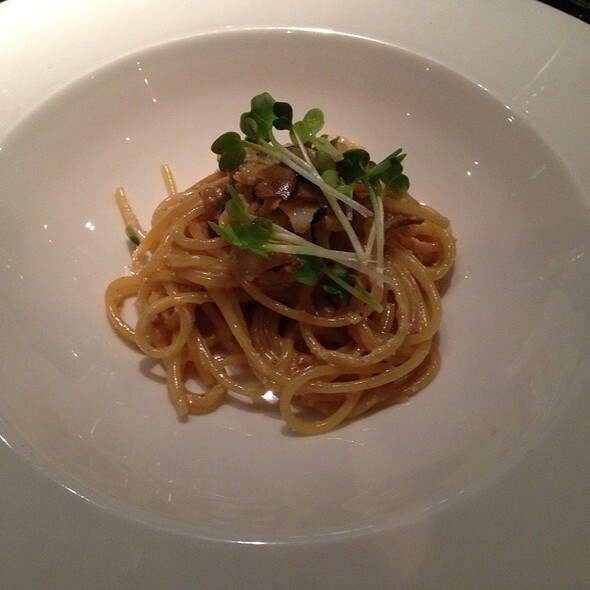 Some dishes were truly fabulous, such as the abalone, truffle and roe pasta. Some really interesting pairings, and other more traditional ones. However, once the very rowdy group showed up, it kind of ruined the ambiance. The wait staff asked them repeatedly to keep it down after my and our neighboring table complained, but this group was fairly oblivious and would return to their broadcasting volume within two minutes. Not sure the restaurant could have done more at the time beyond kick them out, but maybe they could give guests more of heads-up that this is, after all, a Japanese-influenced restaurant. Everything about our dinner was first rate. From the first course to the last, the service, food quality and presentation were outstanding. Simply put, n/naka is in a class of its own. My advice -- book a table and go. This is a lovely restaurant and has amazing food. Chef Niki Nakayama is so gracious: she comes out onto the floor after the meal to thank guests for coming. The service was impeccable. My only problem was that I had trouble understanding the server, whose Japanese accent was very heavy. She was describing some foods that I'd never eaten or heard of so many of her descriptions of the plates were completely lost on me. Dishes were beautifully presented. Since I didn't want wine with my dinner, the server suggested sake, which went with everything I ate. Didn't need to order a special sake to go with a particular dish. The quality of the sake was amazing (it was one of the chef's preferred). This is one of those restaraunts that should be on everyone's bucket list, the type of restaraunt that you get on a plane to visit, but this one happens to be right here in LA. Consider yourself priviliged to share this town with N/Naka. 13 courses over 2+ hours, paired with wine, sake and beer selections, will give you a sense of awe like food has never done. n/naka is a phenomenal and rare dining experience that combines interesting and exquisitely-prepared food with excellent wine/sake pairing, a quiet and simple ambiance, and attentive yet unobtrusive service. For example, we had one server all night who explained each dish, how to eat it, and described the wine/sake pairing - when we had finished, our car was sitting curbside with the valet waiting for us as we walked outside. The chef came to to the table toward then end of the meal, to ask how things were and to answer questions. The dishes served can be personalized - in fact the restaurant called me a week or so before our reservation to ask about allergies, food preferences & dislikes, and ask if we were celebrating any special occasion (we were). We plan to go back within a few week to see how the dishes change over time - reportedly, the chef never has the same menu.